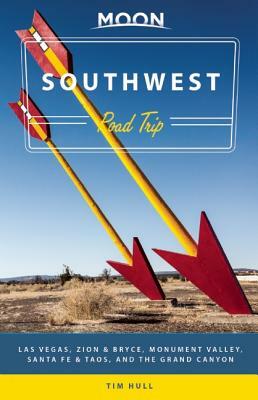 With Moon Southwest Road Trip's practical tips, flexible itineraries, and local know-how, you're ready to fill up the tank and hit the road. A resident of Arizona for then 40 years, Tim Hull has been road tripping around the American Southwest since he was old enough to drive legally. As a news reporter and freelance writer for the past 20 years, Hull has written about the history, politics, environment and culture of the Southwest for newspapers, magazines and websites. His family's roots in the region run deep, beginning in the 1870s when his maternal great, great grandfather opened a doctor's office in Prescott, Arizona. Hull currently resides in Tucson, Arizona, and in his spare time he travels the world with his wife and writes fiction. He is also the author of Moon Arizona & the Grand Canyon and Moon Tucson.